Get the latest Australian BSB61218 Advanced Diploma of Program Management RTO materials from one of Australia’s leading training resource developers! New release qualification! This package is currently being considered for development, so please contact us to express your interest now. 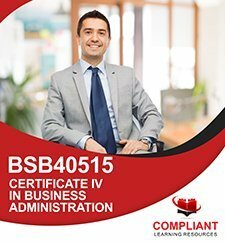 Get new learning resources and assessment tools to deliver the latest BSB61218 Advanced Diploma of Program Management Qualification as soon as possible! Get a complete BSB61218 Advanced Diploma of Program Management training and assessment resource kit so your RTO can deliver and assess this popular new BSB61218 Advanced Diploma of Program Management Qualification! The new BSB61218 Advanced Diploma of Program Management supersedes and is Equivalent to the old BSB61215 Advanced Diploma of Program Management Qualification. However, it is not possible to simply continue using your old BSB61215 RTO resources. Even though BSB61218 is equivalent to the old BSB61215 Qualification, this is only for the purposes of Recognition of Prior Competence. If you are delivering the new version of the Qualification, BSB61218, you must have RTO training resources that fully assess the new unit requirements. Even if unit requirements appear similar in the new version, there are always changes to elements and performance criteria, knowledge evidence, performance evidence, foundation skills and assessment conditions that must be addressed in your assessment tools. Precision Group’s development process for this new BSB61218 Advanced Diploma of Program Management Qualification resource is thorough and robust, so you’ll be delivered a training resource you can be confident in training and audit. Samples of the BSB61218 Advanced Diploma of Program Management package will be available in the near future. Enquire now to express your interest in this new resources package. We will supply samples of the new training resources once they become available. Compliant Learning Resources is proud to partner with Precision Group (Australia) to market and distribute this BSB61218 Advanced Diploma of Program Management learning resources package. This BSB61218 Advanced Diploma of Program Management package will be developed and maintained by Precision Group (Australia). Licensing and ongoing support for this package will be provided directly by the developer.